With the increased number of large-scale mass casualty incidents and major natural disasters in recent years, proficient emergency communications are more significant than ever. But what happens when a 911 Public Safety Answering Point (PSAP) becomes overwhelmed by the sheer magnitude of incoming calls during a disaster? To address this need, Telecommunicator Emergency Response Taskforce (TERT) programs began developing at the state level in 2001 and, by 2005, became credentialed by the National Incident Management System (NIMS). By 2017, 23 states had active TERT programs. Public safety dispatchers on these teams complete FEMA-certified training courses and have authorization from their home agencies to deploy. Since the program was formalized in 2009, these teams have responded to dozens of major emergencies – from East Coast hurricanes to West Coast wildfires. Their efforts have been shown to be critical during numerous recent disasters, and they have been recognized as an essential support resource to incident management. The concept of large-scale PSAP mutual aid had been used in Florida following Hurricane Andrew in 1992, which resulted in a formal program within the state in 1993. But it took another decade before the concept was established as an active resource, and then embraced on a national level. California began to develop its TERT in 2017, and the state’s fledgling team experienced its first trial by fire, literally, during 2018’s devastating Camp Fire, assisting local PSAPs as the deadly inferno exploded across Butte County, turning day into night and reducing the town of Paradise to little more than ash. Over a four-week period, 144 dispatchers from 30 different agencies were deployed to assist at PSAPs and the Incident Command Post (ICP), as well as subordinate search and rescue bases and the animal rescue ICP. The first emergent TERT program were developed in the aftermath of 9/11 by members of the North Carolina Chapter of the National Emergency Number Association (NENA). In September 2003, NC TERT deployed 19 telecommunicators to assist in four counties in the aftermath of Hurricane Isabel; further in-state TERT deployments were made in 2004 and 2005 to assist with hurricane-affected PSAPs. NC TERT’s first out-of-state deployment came in 2005 with Hurricane Katrina, to assist St. Tammany Parrish, Louisiana for 10 days. Local/state governments attempted to treat PSAP mutual aid differently than other first responder mutual aid in terms of housing, travel, cost recovery and responder liability. In response, TERT met with DHS and FEMA officials to discuss solutions, which led to the program being credentialed through NIMS (National Incident Management System), the establishment of training standards and the availability of funding through the Office of Domestic Preparedness. In 2006, the National Joint TERT Initiative (NJTI) was created, which became the national governance body for TERT, although individual states have their own coordinators and leadership. In May 2009, NJTI’s Model Recommendations for TERT Deployment were approved as a standard by the American National Standards Institute (ANSI). “Initial deployments proved the need for a mutual aid response concept for 911 centers,” explained Jones, who also serves as deputy state coordinator for Georgia TERT, and is a board member on the National NJTI committee. The Georgia TERT program currently falls under oversight from the Georgia Emergency Management Agency and Georgia Chapters of APCO and NENA. The state’s TERT members must complete the FEMA IS-144 TERT Basic Course (developed in 2013 with NJTI), as well as Basic ICS and NIMS courses. TERT dispatchers must also have the approval of their PSAP supervisor to be considered for assignment to a team. 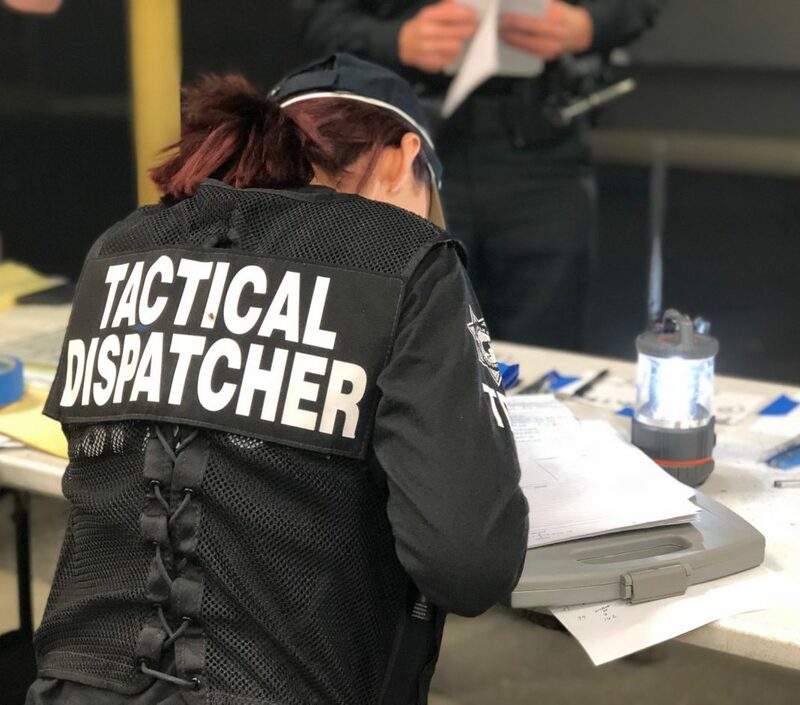 The duration of TERT responses average multiple days to weeks for PSAP to PSAP deployments, while field deployments of TERT-member tactical dispatchers to ICPs and the like range from less than 18 hours to several days. These experiences have all proven the TERT concept’s merit, and there are more than a dozen states reported to have teams in development. Jones recommends NJTI’s easy-to-follow framework for establishing a TERT program. “While considering the unique needs of Georgia, we felt it was very important to not completely deviate from the original mission of the NJTI, while having some variances based on regional or state need,” he said.